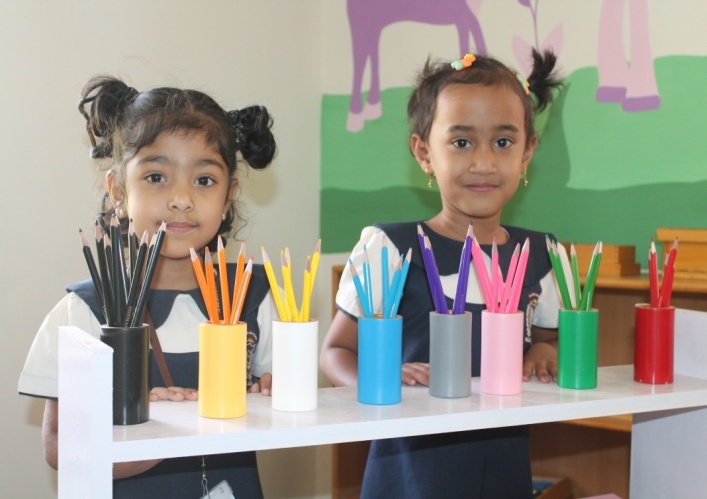 Kindergarten system is a preschool method offered for children between 4-6 years to prepare them for the primary school. Friedrich Froebel was the founder of Kindergarten system. The classroom is enriched with abundance of books, words, alphabet, numbers and other teaching aids. Activities are designed to meet the needs of the students in the classroom. Student’s work is displayed neatly in the classroom. It makes them feel that the classroom is their own. Individual attention is given here. Self-directed activities help them to be more disciplined and organized. To enhance motor coordination, sensorial skills, language and arithmetic, they work in a specially prepared Montessori environment. Play and learn method makes the environment more comfortable and enjoyable. 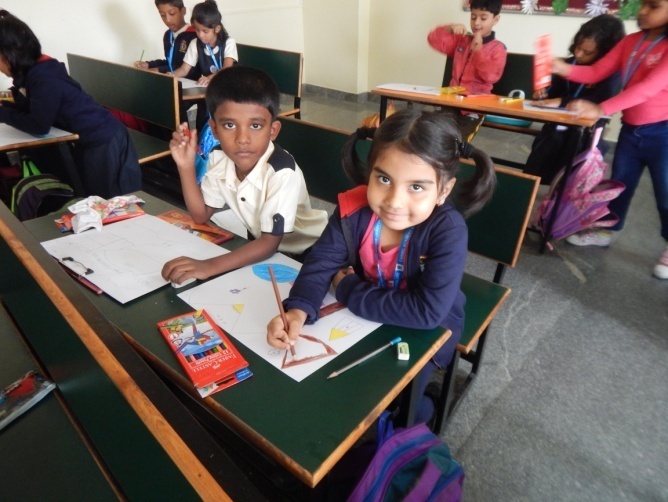 It is a preschool educational approach traditionally based on playing, singing, practical activities such as drawing and social interaction as a part of transition from home to school. As we felt that certain learning milestones which are very crucial for the later years of learning, and children from this stream should not be deprived of assimilating these concepts and skills while getting groomed for their holistic physical, emotional and psychological wellbeing, we thought of seamlessly incorporating all the concepts recommended by the council and the beneficial tasks and concepts from Montessori methodology.